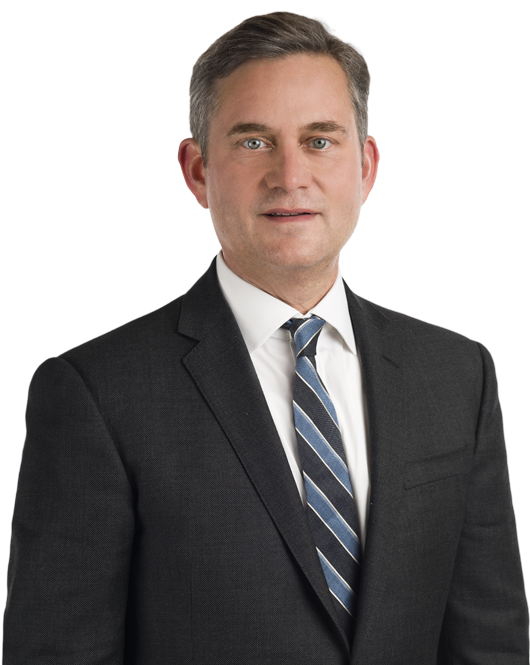 Kirby Behre is a Member of Miller & Chevalier's Litigation department and a former federal prosecutor. His practice focuses on the representation of corporations and senior executives in government investigations and criminal litigation, and in complex civil litigation. Mr. Behre's experience includes cases involving antitrust and cartel activity, bribery, fraud, public corruption, the Foreign Corrupt Practices Act (FCPA) and government contracts. Mr. Behre has significant courtroom experience and has tried more than 50 cases before a jury. He is a nationally recognized authority on business crimes and co-authors Federal Sentencing for Business Crimes (Lexis-Nexis) and Responding to Corporate Criminal Investigations (BNA). He has been recognized as a leading white collar criminal defense and government investigations lawyer by Chambers USA, which describes him as "sharp as a tack," an extraordinary advocate" who has "very good analysis and negotiation abilities," and "a standout lawyer." Chambers has also noted that Mr. Behre impresses clients with his "talent and creativity" his "creative solutions to tricky problems" and his "absolute ferociousness toward defense litigation." Legal 500 has recognized Mr. Behre as a leading antitrust and white collar criminal defense lawyer, saying that he "always makes himself available to clients" and noting his successful representation of UTi Worldwide in the DOJ's air cargo investigation. Convinced the U.S. Department of Justice that its investigation of global freight forwarder for alleged cartel activities involving more than a dozen freight forwarders should be closed. Successfully defended numerous business executives from prosecution in the U.S. Department of Justice's cartel investigation into the auto parts industry, the largest cartel investigation in the department's history. Conducted complex internal investigations involving alleged foreign bribery for several major global corporations. Obtained an extremely favorable sentence for an Afghan construction company in criminal cases in U.S. District Courts in Chicago and Honolulu involving alleged bribery of U.S. military officials located in Kabul, Afghanistan. Obtained a rare nolo contendere ("no contest") plea for a U.S.-based cargo airline in a criminal case in U.S. District Court in Miami involving alleged antitrust violations in the air cargo industry. Defended two former executives of a U.S. bank in a five-week federal jury trial in Los Angeles involving the bank's failure. Kirby Behre will be speaking at the American Bar Association Criminal Justice Section's Seventh Annual London White Collar Crime Institute on October 8, 2018.